Remember the railway lines in Western movies? Gold Train Slot by Pragmatic Play is based on this mode of transport. Enjoy this 3-reel, 3-payline slot at Moon Games, your favourite online casino! Travel on the Gold Train in the far west and enjoy a fantastic journey. The design of this game is reminiscent of a steam-powered locomotive, with the reels set right in the middle of it. Symbols you can find on the reels are: Triple Seven, Conductor’s Cap, Flags, Bell, Triple Bar, Double Bar and Single Bar. Launch this exceptional slot at Moon Games using any type of device! Get started on Gold Train Slot by clicking on the + and – buttons to adjust your stake. Benefit from 1 to 10 coins for your gameplay. Press the Spin button when you are ready. With combinations of 3 identical symbols on the reels, you can trigger a win. When you click on the Auto Play button, you can launch 10, 20, 30, 50, 70 and 100 rounds automatically played. Additional settings for Quick Spin, Turbo Spin and Skip Screens are also available. Select any of the Stop settings to cancel Auto Play at any moment. Coin Values: The available coin values are: 0.01, 0.03, 0.05, 0.10, 0.20 and 0.50. Scatter is represented by the Silver Ticket symbol which helps to trigger the main bonus feature. Gold Train Slot also comes with an upgrade symbol which is the Golden Ticket. Don’t let the title of this feature confuse you! It is not a progressive jackpot. 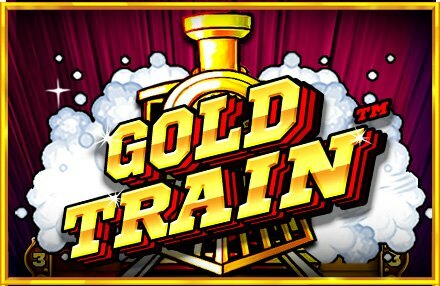 Instead it is a bonus round triggered with 3 Silver Tickets anywhere on the reels of Gold Train Slot. It consists of a train with at least 10 carriages moving past, with each of them revealing a prize amount. If you earn a Golden Ticket, 4 and 10 extra carriages roll past. If you land a Golden Ticket on reel 3 during the base game, extra carriages are awarded the next time the feature is active. Get ready for a lovely journey on Gold Train Slot at Moon Games and enjoy a great adventure in the Wild West. Good luck!